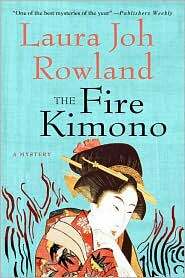 In yesterday’s Wall Street Journal, David B. Rivkin, Jr. offered his selections for the 5 best historical mystery novels, and THE FIRE KIMONO, by chapter member Laura Joh Rowland, is in this esteemed group! Read the article for the rest of his choices and the accolades for this title in her long-running series about Sano Ichiro, a samurai detective in early 18th century Japan. We congratulate her on earning such wonderful recognition! This entry was posted on February 28, 2010 by nysinc. It was filed under Member News .